Henry and Judy Lahore have been Full Timing in a Teton Homes 36' recreational vehicle since May 2002. RVers should be aware of IRS limitation on 5 year limitation capital gains exclusions for their homes. Started a Wiki for our RV park August 2009. It includes what to see and do in NW Washington State. Will be inviting all Coho RV park leaseholders to become editors of this web page. Expect that we will end up have 5 or so "web masters"
During our May 2009 25 day, 1300 mile trip around Washington State traveled on about half of the scenic roads in Washington. Moved onto our RV lot Jan 2009 This is in an Escapees RV park NW of Seattle. Photos (PDF slideshow 17 MBytes) of first half of 2008. Google 411 is great for getting free business phone connections anywhere in the US when you do not have internet access. just dial 1-800-466-4411 from any (cell) phone. If you have an RV with sharp (not curved) edges, then look at www.airtabs.com The air tabs will save between 2% to 4% of your 65MPH fuel bill. The tabs glue on the side of an RV or truck and cost $7.50 per foot. They come in white and black and can be painted. If your edges (say from the side to the back) are smooth (greater than about a 3" radius) then the vortices which the airtabs generate will not improve your fuel economy. Also might be useful to reduce computer glare. As of April 2008 we are leaseholders of SKP RV lot in Western Washington - after waiting on a list for 5.5 years. 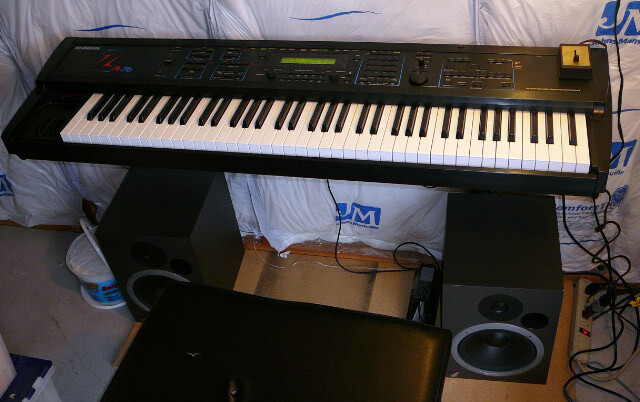 The shed on our lot is also a: 1) music studio, 2) library, 3) electronics workbench for LLLT. We have put our remaining campground memberships (AOR, RPI) on hold. We might cancel them within a year or so, but for now there is no on-going cost. After 5 years of full time RVing and writing 50 of so pages of notes on this website I realized that I should highlight the important things – so here they are. 1) Join the Escapees RV Club and plan years ahead and put your name on an Escapees Co-op lot to be used 1-10 years in your future. 3) If you are not used to driving big rigs it is essential that you take one or two RV driving classes. A short course in RV driving is offered at Life on Wheels and at most RV rallies. 4) As soon as one of you is at least 60.5 years old you can get the best bargain of your life – a lifetime pass to all of the National Parks and many other NPS facilities as well as half-price overnight camping in NPS, for just $10 = golden age passport. 5) Passport America is one of the best deals for short-term, low-cost RV camping. For $50 a year or less you can get 1-3 nights of ½ price camping at thousands of locations in the US and Canada. 6) Buy the US Atlas from any Wal-Mart at about $5 (½ price). It has Wal-Mart and SamClub locations in addition to the excellent road maps – updated yearly. 7) Buy a Trailer Life directory of RV parks – available at most RV stores. Replaced our 5 year old mattress with a memory foam mattress (custom shape, $1200). Great sleep. Fluorescent light ballast burn-out. Cost over $30 to replace the fixture. Was told that this happens when batteries float above 13 volts (in virtually all RVs). I have now added a resistor for each fixture which drops the voltage by 3/4 of a volt - I anticipate that it will add 5+ years to the life of the remaining ballasts. DryzAir - white crystals which adsorb lots of water - from truck, from books (eliminating mildew), etc. 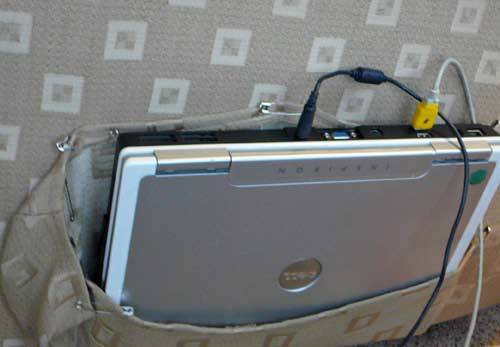 Created laptop pockets on the sides of our recliner chairs. Attended Escapees Boomers Rally in Quartzite - last week of Jan 2007. About 170 rigs signed in. Bought a used Breadman Bread Machine via Crag's list for $20. Great bread. Fits nicely under the kitchen sink. 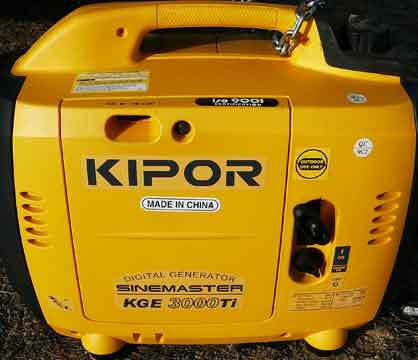 Kipor gas generator 2200 watt - works great. You can run a single air conditioner (click for details) on 20A or perhaps even a 15A circuit. I run it at least every 2 months - usually need starter fluid to get it going. Window cleaner. Suggested on an RV discussion site. 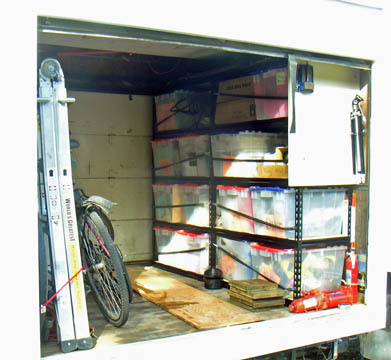 Added shelving to hold tote boxes in Isuzu truck. Enjoying towels which hold 15 times their weight in water. We able to dry our shower stall then wring most of the water out of the towel. Google does much more than search. Here are the functions that I use regularly. This previous list is a subset of the Google functions listed on wikipedia. Be sure to checkout the Google free Accelerator - it speeds up surfing by about 2.5X - via modem, DSL, WiFi, etc. We use the very popular "Download Accelerator Plus"
Judy wrote and directed a play for the Coho Escapee RV Park in Washington State. It had about 15 speaking characters. Everyone could read their scripts - no memorization needed. It was a lot of fun for everyone. We video taped the presentation to a packed house on Aug 2, 2006. You can see the 1 hour play for free on Google Video - just search for "Coho Murders"
We are trying out High Dynamic Range (HDR) photos. we are using free demo software from Photomatrix - will probably buy it later this year. SKYPE provides us with very low cost, very clear and easy to use long distance phone calls over most WiFi connections. Some WiFi connections are too slow to use Skype and I doubt that it could be used with any modem connection. We have a telephone type handset which just plugs into our laptop microphone & headphone connections. You can also find "Skype handset" on the internet which connect to the USB port, for less than $15. The handset is much easier to use than the headset which we had first tried. We have not yet tried their video option, which is also almost free - to any computer in the world. Purchased a small folding white table. 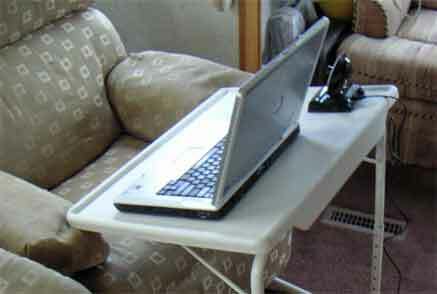 It's ability to tilt provides great ergonomics when using a laptop computer in our recliners. Wal-Mart sells a somewhat similar table for $15. Added an under-counter light near the sink. We use it every day. Why did it take us 4 years to think of adding it? Caulking: lap seal caulking is only 2X more expensive than silicone, but far-far better. 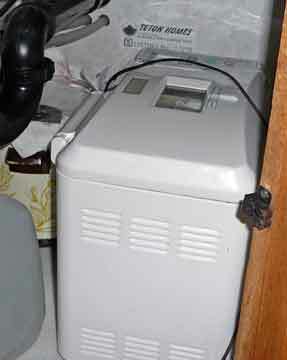 We keep our portable air cleaner on in the rig while driving - it eliminates diesel smell when we get back into the RV. 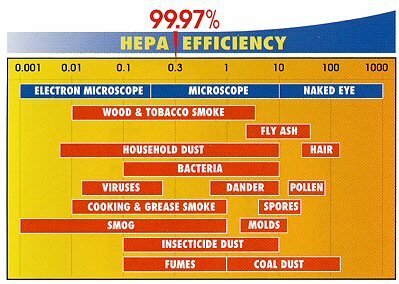 It uses a HEPA filter. We have also added HEPA filters to air conditioner and furnace system. Satellite Radio: Purchased XM radio kit from Costco for about $75 and pay a $13/month subscription for the service. Also available at Camping World - unsure which antenna they sell. update April 2006 - its has been great. (We do not watch TV, and so have no satellite TV antenna). We often are able to surf the internet from our RV while 300 feet from the nearest WiFi transmitter. Have added yellow tape to RV outside stairs (top and sides), stabilizer jacks, and the jack handle to increase visibility. 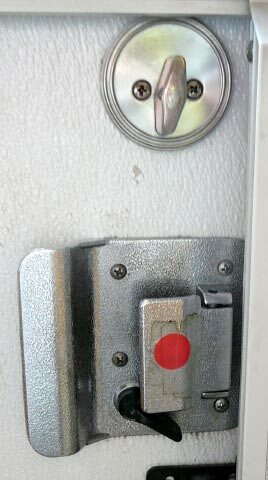 No longer forget jacks or handles when getting ready to leave. 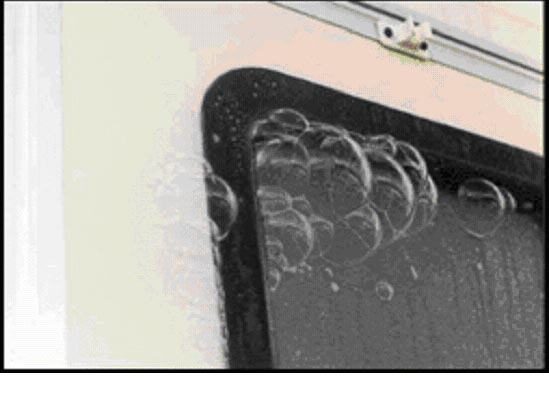 RV Leaks can be detected by inflating the RV via the bathroom vent and putting bubble liquid on the suspected leak locations. The equipment was created by www.rvleaks.com and they list the service providers all around the US. 2008 update: RV service person strongly recommended 3M 5200 calking used by the marine industry. Canada3 Photos July 10 to Aug 5 Bay of Fundy, Birds, Niagara Falls, Circus Museum, exploding cars in an art museum, Worlds Largest Bookstore, etc. Passport America worked out very well in Canada - paid for the membership in less than a month. 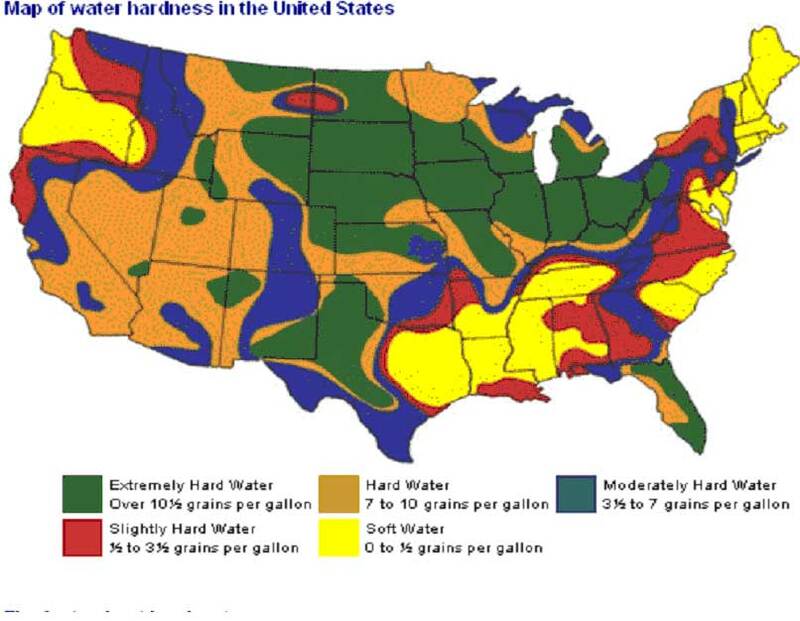 Hard Water - Low cost way to prevent hard water from "rotting the RV"
Highlights of our 2002 Teton order and why we selected Teton 8 features and 9 "whys"